We are pleased that you are thinking of getting married! Sometimes people are in unusual circumstances or think that the church wouldn't be interested, it's worth contacting us. We promise that we won't be judgmental and we will do everything we can to help you have the day you dream of. However you come to All Saints we hope that you will always feel welcome. 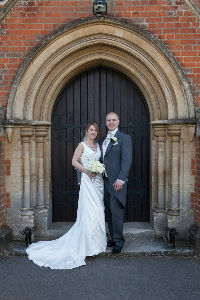 The marriage service is an act of worship and will need planning in detail long before the big day. This page is mainly about how to book a service. Banns need to be read in the Parish where each of you lives as well as the church in which you are to be married, if that is another Parish. You must have your Banns read out in church for three Sundays (during our 10.00am Service at All Saints) during the three months before the wedding. This is often done over three consecutive Sundays, but does not have to be. 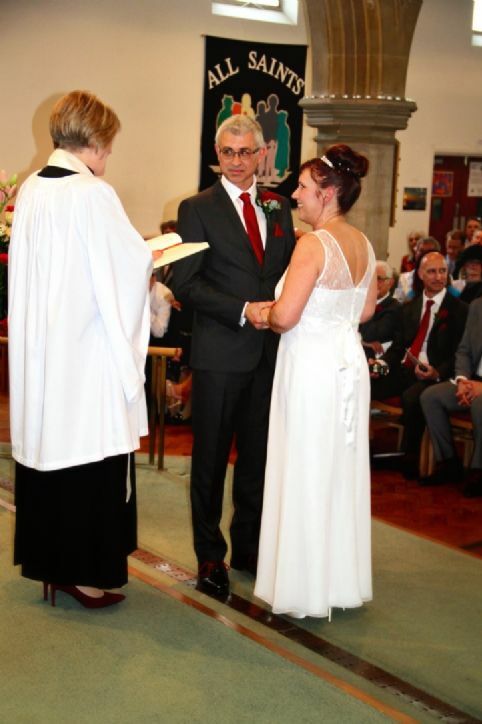 Most couples try to get along to hear their Banns being read at least once. You can chose to either arrange for flowers for the church yourself or through Pat George, our Flower Co-ordinator. All Saints has a set of eight hand rung chimes. If you would wish them rung, this can be arranged and will be discussed when you meet Sue, the Vicar to discuss your wedding. All Saints usually seats between 120 and 140 people. We can supply additional seating and accommodate up to 200 people. Disabled guests are accommodated easily within the body of the church. Disabled access is via the Community Hall entrance (joined directly to the church) or via a ramp directly into the church. We have a toilet for disabled use. Although not necessary, you are welcome to bring your own individualised service sheets. Don't forget that you will need to organise the layout and printing with a printer in plenty of time. They will need to be checked by Sue in advance of your big day. Confetti is permitted outside of the church. Photographs are permitted during the service, but only by your official photographer. 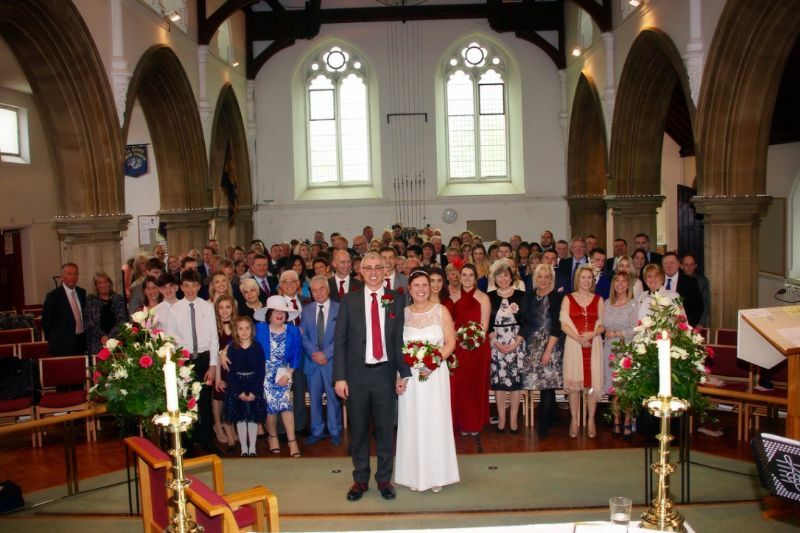 An official video is permitted from a fixed point only, agreed with the Vicar before the actual day of the ceremony. Due to copyright laws, an extra fee has to be levied. You can choose your own music for the entrance and exit of the wedding party and the hymns you wish to have sung during the service. 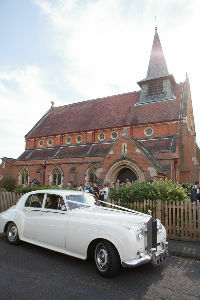 All Saints Church has a car park adjoining the church and hall available for use by your wedding guests. There is usually some parking in the side streets near the church should there be insufficient parking on-site. Please don't hesitate to contact me if you have any questions. I look forward to meeting with you and getting to know you as you plan and prepare for your Wedding Day.